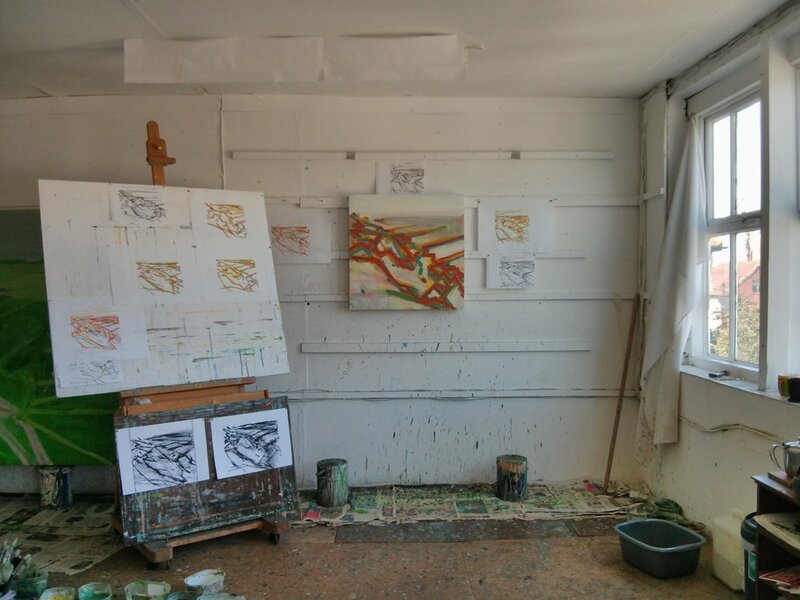 The studio this afternoon. Several oil pastel drawings and charcoal drawings on the wall and the board. After this photograph was taken I added alot of grey to the painting, didn’t like it so scraped it all off, repainted the canvas white and painted the network of lines in first yellow, then blue and then red. It now looks more bleached then this.